We service and repair all types orchestra instruments, from small violins to large upright basses. Our professional team works full-time to ensure that your instruments are cared for and provide the best possible musical experience. Our rental customers who enjoy our VIP insurance pay no additional cost or deductible to have their instruments repaired or replaced if necessary. Free estimates are given on all repairs and work will not proceed until you give your okay. 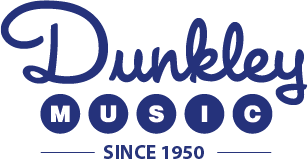 Rand Thompson, an orchestra technician, started orchestra repair for Dunkley Music in 2014. In the 60’s, he taught himself how to repair guitars and since that time has been a luthier. And in the 70’s, he apprenticed for Rev Schull. Rand enjoys building mandolins and other instruments, along with playing the guitar. You can often find him playing the guitar, mandolin and singing for the local Boise Blue Grass band, Dry Buck. Rand is a member of the Guild of American Luthiers Association. 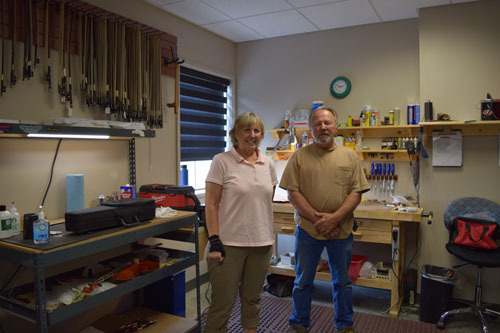 Debbie Cavanaugh is currently helping in the "stock prep" division of the stringed instrument repair section of the store. During the school year, she adds a public school liaison component to her part-time position at Dunkley Music. Debbie retired from a 33 year teaching career as an orchestra teacher in BoisePublic Schools (West Jr. High School). She is a Boise native, holds degrees in Music Education from the University of Idaho, plays violin and viola, has a small private lesson studio at her home and is studying Italian.